I'm Nur and I'm the designer and creator of all the things in Cadmium Rose. Welcome to my odd world, full of industrial sparkling, bohemian decadence and vintage distopias. I get inspired by brave women around the world, by powerfull ancient cultures, by the moon and it's secrets. And my designs then just become the beautiful way to tell antique stories we all have within. 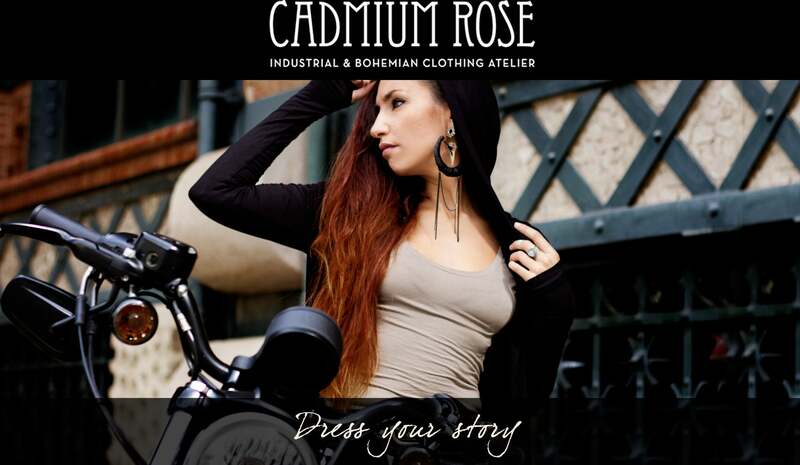 Cadmium Rose designs and creates everything a woman can wear. We're in love with sophisticated traveler curious strong women with passions and goals that move their body. We're inspired by tribal dance and in love with it's extravagant, ornate, feminine and alternative style. It's charms and endless details. It's movements and textures. We believe in small productions and unique garments, made with little treasures that bring their own story to each creation. Garments with an alternative flavour, elegant dresses, rough edges, antique embroidered fabrics, buttons and feathers from the 20's. Everything we make is designed, cutted, and sewn in the inspiring modernist city of Barcelona.